Yes, you will need your bird watching binoculars if you genuinely want to be a bird watcher. 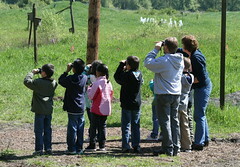 There are more than 70 million "Birders", as they are so affectionately called, in the United States today. In my opinion watching birds has become one of the #1 top hobbies. ***5 activities that you can do when you place feeders in your garden. 1. Learn the songs of the birds that frequent your feeders.Then you will know they are in your yard even if you can't see them. 2. Make a list of all the bird species that visit your feeders. 3. Watch the parents teach their young to fly and to crack seeds. 4. Take pictures of your favorite feathered friends. Another fasinating fact about inviting birds into you garden, is that some of the birds change from season to season. There is no question, birds are so cool! They are amazing and lovely creatures. They come in many colors and sizes. They love to sing and fly high in the sky. Birds are very inspirational. I know that is why us bird lovers want them so close to us. We do this by purchasing bird feeders, filling them with delicious seed, and placing them is our garden. We love the bird baths. It's hard to decide on one, so we have 2 or 3. It's the same with bird houses. The designs, colors, materials. Oh, I can't wait until spring. When you do this...and when they come. You will be glad you did. Bird watchers will go wherever the birds are. True, dedicated birders will explore all day and all night just to spot that "rare" bird species, with their bird watching binoculars. There are even special events called "Bird-a-thons". Most Bird-A-Thons happen in the springtime. This is to take advantage of the migration habits of the birds. Many people from all over the world join groups and form teams, so they can participate in their favorite bird conservation programs. The teams raise money to support conservation and education. Each team member collects pledges "of money" for the number of bird species that they can count within a certain time period. Bird-A-Thons are very profitable for these organizations. The money takes care of many projects whether they are small or large. The Audubon Society has had a lot of luck using Bird-A-Thons to raise money for their activities. In fact it is their largest fundraising event and the world's largest bird watching competition. Audubon uses the funds to take care of environment conservation, education, and advocacy. Their Bird-A-Thons even helped buy land in the rainforests of Central and South America. 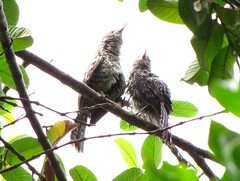 They partnered with ABC and Panama Audubon to protect prime bird wintering areas. Typical Bird-A-Thons encompass a 24 hour time period. 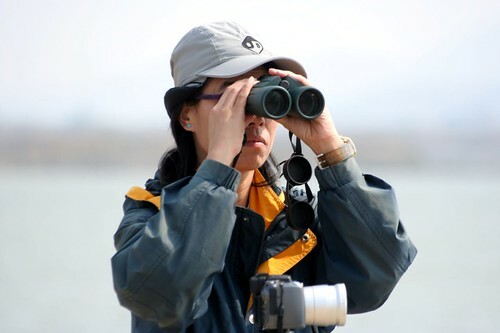 A team will try to see as many birds or bird species,with their bird watching binoculars, that they can, within a certain area they are assigned to. It is a fun competition and you don't have to be a bird "guru". Texas has a Bird-A-Thon called "The Great Texas Birding Classic"
Their bird-a-thons are at the same time as the spring mirgration. The Gulf Coast Bird Observatory and the Texas Parks and Wildlife get together and promote the event. They want to make people aware and more appreciative of conservation of birds along the Great Texas Coastal Birding Trail. They raise over $50,000 a year for projects to help the birds. The Big Birding Day is nationwide. 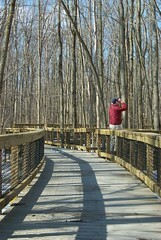 It began in 1984 when the New Jersey Audubon Society challenged birders to partake in a bird watching contest. 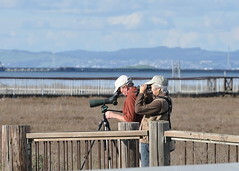 (of course they used their "bird watching binoculars". It has become so popular. Other birding organizations have gotten involved too. There has been millions of dollars raised for the conservation of birds. The "Big Sit" was started by the New Haven Birding Club in connecticut. It is a lot like a Bird-A-Thon, but it is different because the area that an individual or team my use is limited. It is defined to a seventeen foot diameter circle. Birds can only be counted if seen or heard while in the person or team is inside the circle. It is a good competition because you don't have to be a "Bird-Spert"( A professional birder ) to get involved. The main objective of the event besides to raise money is to have a good time! Some organizations will let you partner in a Bird-a-Thon from your own garden. The Massachusetts Audubon group will let you be a "Virtual Birder" in their Bird-A-Thon. These folks participate, but are not on a specific team. You raise funds and then give it to the team of your choice. A virtual birder can compete for a T-Shirt and a "High Flyers Award. To find out more about "Virtual Birding"
get in touch with any of the above organizations or look for an organization in your area. Just get involved. A Bird-A-Thon might be just what you're looking for and it is definitly for a good cause. And Remember get those binoculars out and start bird watching. and HAVE FUN!!! Well, you don't have to be quite that obsessed to be a bird lover. You can create a haven by filling and placing one or more feeders in different locations in your back yard or garden. It also helps to plant shrubs, trees, and flowers. Your birds will love you for it. You will be helping the environment too. That is always a plus! There are many things you can do if you place feeders in your garden. But, BEWARE! It can be habit forming.